There is something to be said for timeless elegance. For simplicity, beauty, and a design that never goes out of style. 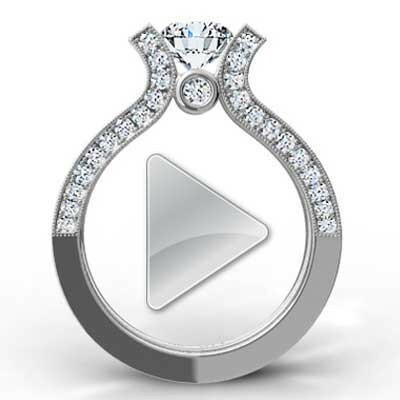 The Two Piece Set Diamond Engagement Ring 14k White Gold is the ideal selection. 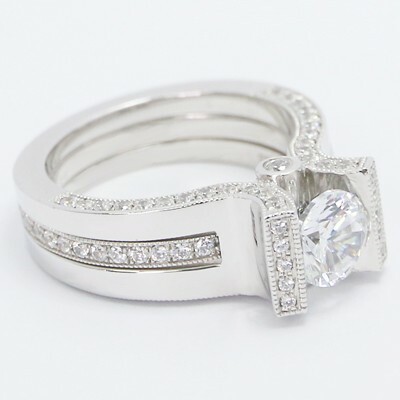 It has a solid ring body with delicate details to give it that extra wow factor. 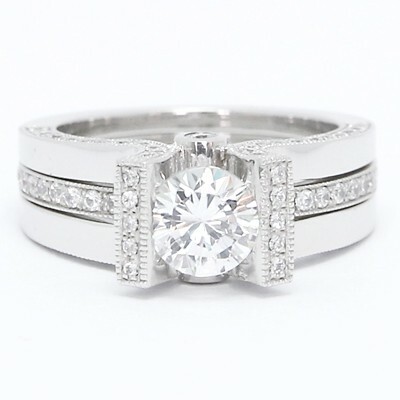 Once you add in the centre stone (in the diamond cut and size you love best) there is no denying the classic appeal of this unforgettable engagement ring. Nothing could be more exciting.